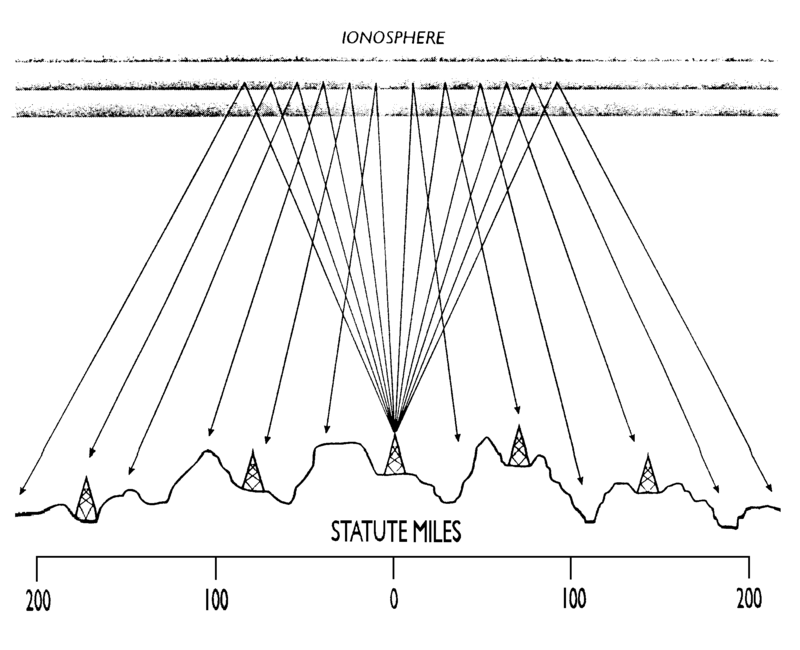 Near Vertical Incidence Skywave Propagation is an effective form of HF communication for stations in a 100 – 300 mile range. Ideal for Emcomm, the emergency communicator should be familiar with the use of NVIS antennas and propagation. 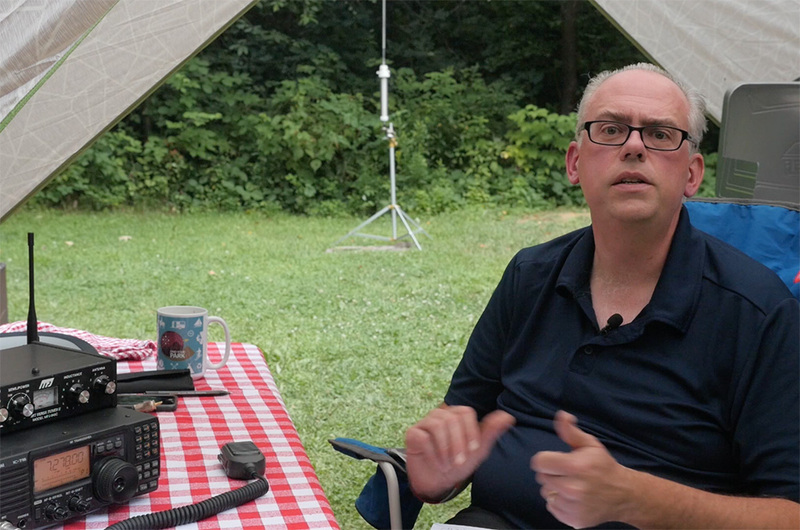 Learn more about NVIS for emergency communications along with a short demonstration by watching the video below. NVIS works by using a horizontal wire style antenna mounted very low to eliminate the ground wave and skip elements of the signal and instead focus the RF energy almost entirely upwards, so that the energy is reflected off the ionosphere, covering a 100 – 300 mile range. For DX communication, an optimal antenna height is 1/4 to 1/2 wave from the ground, but with NVIS the antenna is typically mounted as low as 1/20 of a wavelength. Most NVIS antennas are no more than 15 feet above the ground at their peak and may be tied off at the ends at about 6 or 7 feet. No reliance on infrastructure. With NVIS you don’t have to rely on any repeaters, links, or nodes. All you need is an HF transceiver, wire antenna, and a power supply. An NVIS go-kit could be deployed in an affected area and provide much needed communication services out. NVIS and HF provide a greater range. With an anticipated range of 100 – 300 miles or more, you can reach further distances with HF communication than you will with VHF. Terrain is not an issue. VHF is line of sight and can be affected by hills and other obstructions. HF and NIVS can make the hills melt away and easily communicate over a mountain range. If you are located in a deep valley, NVIS may be your only option to get the signal out. How does it work? NVIS is the most effective for the low bands on the HF spectrum, such as 40, 60, and 80 meters. 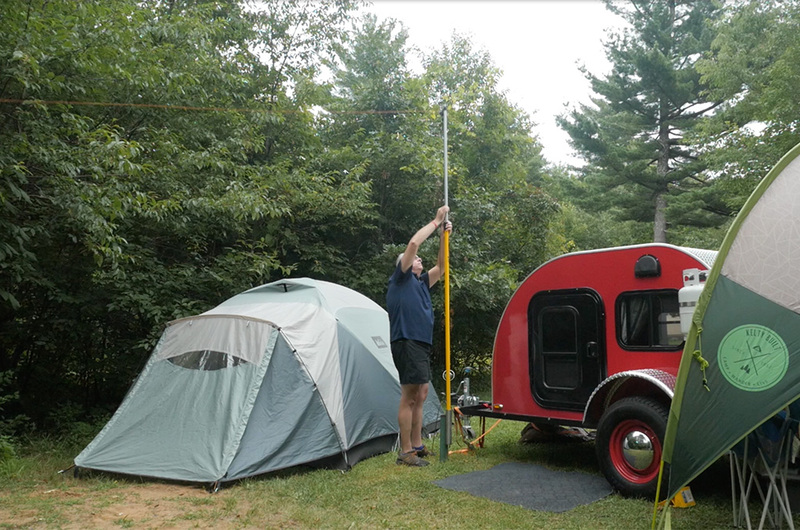 The simplest NVIS antenna is a 1/2 wave dipole with its peak at about 15 feet and each leg at about 7 feet. A 40 meter NVIS antenna would be about 66 feet long, or 33 feet for each leg. 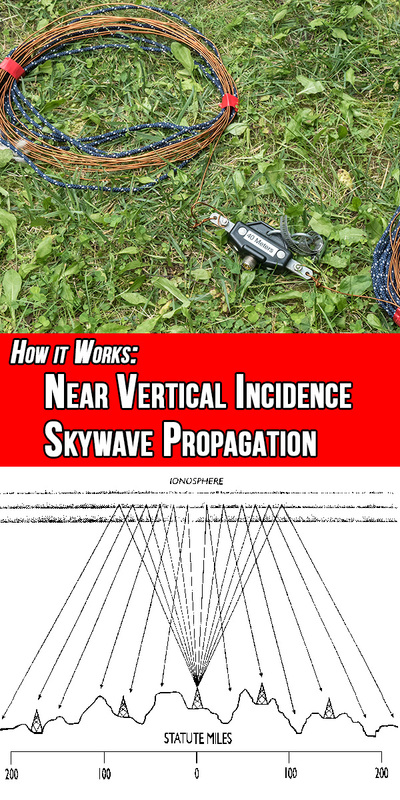 Some hams report that you can enhance the skywave propagation by running a ground wire parallel to the dipole. This wire should be 1/2 wave length long. I haven’t tested this method, but reports online kind of indicate so-so results, so its effectiveness may depend on conditions. Shortened dipole antennas work well too. There are plans online for fan style dipoles for 40 and 80 meters. The 80 meter section should be 38 feet at each leg and the 40 meter section 25 feet at each leg. This would be an effective dual band solution for NVIS operation. Although I have had satisfactory results by using my 40m dipole with a tuner as an 80m NVIS antenna. What are your experiences with NVIS? Please leave your comments below.